Fall 2018 The Annual Fund in Support of Habonim Dror! I gladly accepted the package of material and will see that it is placed in the appropriate files in the New York office. 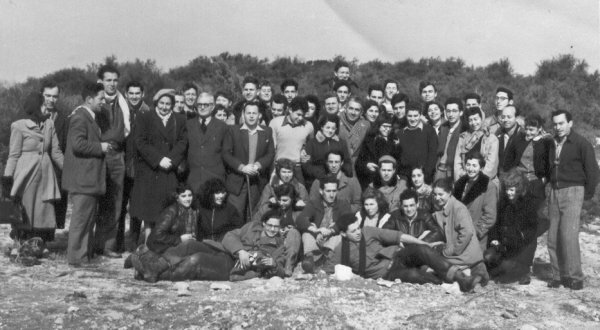 First though, I looked through the photos and read the notes, letters and journals and I reflected on what a special time it was for movement members; the end of the war, the realization of the horrors of the holocaust, the creation of the State, and life in newborn Israel. At the same time, I was struck, as I often am, at the shared nature of the movement experience through the various generations. Much changes, but the essence of the Habonim experience is remarkably the same from one era to the next, down to the present day. Past generations of movement members lived through the creation of the state, the Six-Day War, the Yom Kippur War, the Intifadas, Oslo, and more. During each period members of the movement learned, educated, went to Israel, discussed, and responded to the events of the day. Some made aliya, almost all say the movement fundamentally shaped their lives. 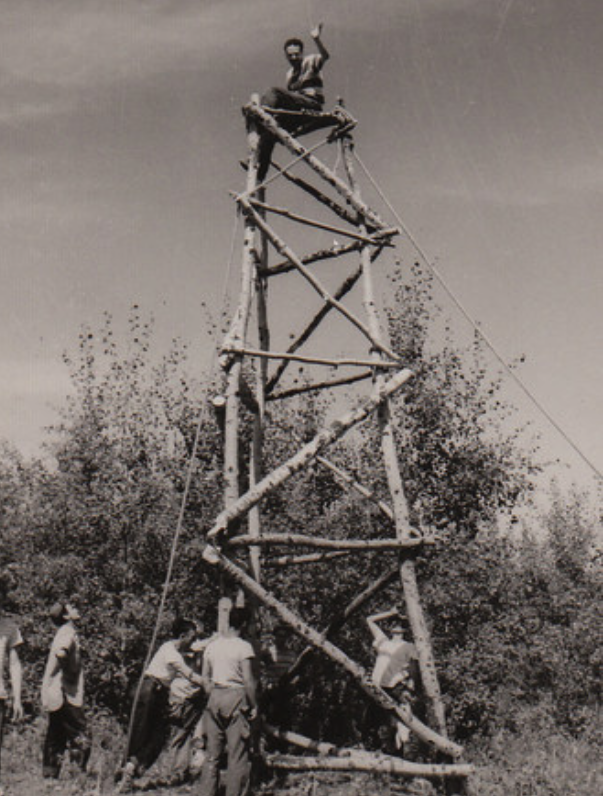 Summers at machaneh (camp), making friends who would remain so important for life, falling in love with Israel, warts and all, forging a strong and deep Jewish identity – these are some of what we, who “grew up in the movement,” have in common, across the generations. In that light, Habonim Dror today is faced with challenges just as dramatic, historic and unique. They learn, they educate, they go to Israel and they respond to the events of the day. And the events of today are as powerful, extraordinary and consequential as those of any era. Habonim chaverim and chaverot today grapple with the rise of extremism and anti-Semitism. They confront a caustic environment on college campuses, where there is little middle ground to be found between BDS and anti-Zionism and “Israel right-or-wrong”. They learn about and visit an Israel that is stronger and more vibrant than ever, even as the occupation enters its 6th decade and the democratic principles of the founding generation are put at risk by the governing coalition. If you haven’t yet, please consider making a donation to support Habonim Dror. Your support is needed more than ever, as other sources have declined over the years. 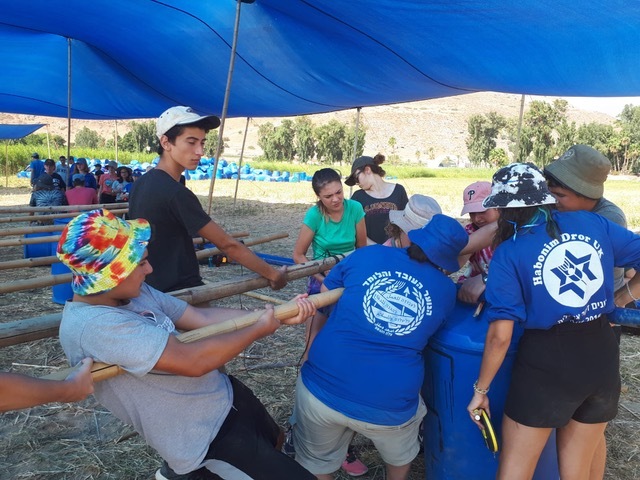 It is up to us — the alumni, parents and friends of Habonim to carry the load today. They are truly “youth leading youth,” they are dedicated and talented, but they cannot go it alone. That is where we come in – the alumni and friends. After minimal expenses for mailing and bookkeeping, all the money we raise at the Habonim Dror Foundation passes through to support Habonim Dror. We want to have more to pass on, and the youth movement can use all the help we can provide. Our support is used to finance Shlichim from the movement in Israel, to provide scholarships for Israel programs, to help keep the movement alive and thriving. You understand the value and importance of Habonim Dror. Please help by making a charitable, fully tax-deductible donation to the HDF Annual Fund. Your donation helps make the year-round programs, the leadership development, the Israel programs and the summer camps all possible. Make a generous donation today!